So, you’ve decided you want to become a Personal Trainer… Before we get started, it goes without saying that here at Train Together we think this is a fantastic decision! Our staff are all qualified Personal Trainers themselves and we all love what we do, helping people to achieve their fitness goals on a daily basis. Why wouldn’t we encourage others to follow in our footsteps?? Everyone has their own reasons as to why they embark on their journey to becoming a Personal Trainer or Gym Instructor, but right now we want to discuss why going to a smaller training provider could be the best choice for undertaking your qualifications. Small training providers can give more guarantees to their students around when they are able to use their equipment for practice or study. We love having the freedom to run our courses at our own studio as it gives us the ability to give all of our students’ access to our machines and equipment when they need it. As well as gaining the knowledge and skills you need to be successful in your future career, as with other qualifications, your training is also about learning to pass your final assessment. We have our own studio and training facilities so you always have access for training sessions, giving you the opportunity to familiarize yourself with the equipment you’ll ultimately be tested on. We offer our students FREE use of our facility for the duration that they’re signed up to our fitness instructor or personal trainer courses to allow them to practice on the exact machines, in the very environment where they’ll be tested. So when it comes to that all-important assessment day you’ll know the place like the back of your hand. No need to worry about knowing your way around the gym! With local, smaller gyms there are bound to be less people on your course. This means that tutors are able to get to know their students on a more personal level, so that they can support them fully for the duration of the course. Smaller providers are also often a lot more flexible with you just ‘dropping in’ if you’re passing and think of a question related to your studies. 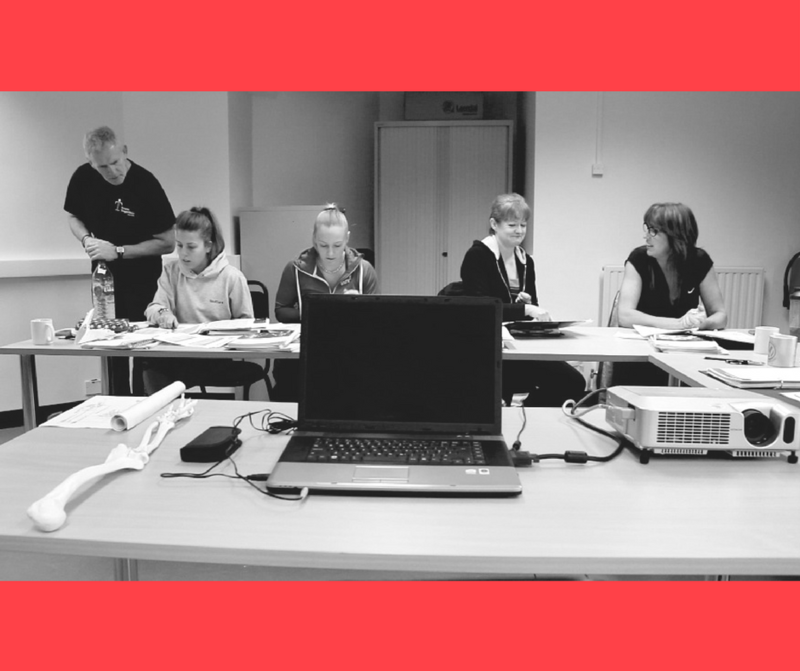 We like to get to know our students properly, so we limit the numbers on our courses and give everyone a dedicated tutor, available on email or phone to give their full attention to a situation when it’s needed. There is always a PT on duty at the studio too, there for a chat or to provide solutions to any concerns or problems you may have. It goes without saying that smaller fitness providers will probably have less staff, so they have to invest in the right ones! Being a small provider ourselves, all of our staff are fully-qualified, practising Personal Trainers with industry experience, so students are able to take full advantage of their knowledge and expertise while on a course with us. We believe that learning from people who are active in the industry really helps you to become a Personal Trainer who is more ‘well-rounded’ and knowledgeable when you go into the industry yourself. Even when the course is over, we still love offering guidance and advice to newly-qualified (or not so newly-qualified) PT’s and fitness instructors, it reminds us of when we first started out! With smaller training providers you’re less likely to encounter any issues during your final assessment, as it’s easier for them to ensure you have the place to yourself. Larger providers often hire gyms for assessments which can mean their students sometimes have to mix in with other gym members going about their usual workout while being assessed. You may find that you want to use a bar or a certain machine for your assessment, but you have to wait whilst someone finishes their final reps. This can sometimes be a little off putting if you’re trying to pass an assessment. We hope we’ve been able to give you a bit of a helping hand in deciding where you’d like to go to do your qualifications, and wherever you are on your journey to a career in the fitness industry, our staff are always happy to answer any questions you might have. You can get in touch with us here at the studio any time.